The buzz about cryptocurrency isn’t one that tends to go away for a long time. Cryptocurrency is a type of digital currency or money designed to be transferred between peers with confirmation through a public ledger process called mining. As simple as this definition may be, people still get confused. 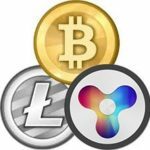 To start, let us review the fundamentals of cryptocurrencies and their trading. Every transaction confirmed during the initial cryptocurrency is stored in a public ledger. The details of the owner of the coins are encrypted while other cryptographic techniques are used by the system to ascertain the legitimacy of recordkeeping. It is the responsibility of the ledger to ensure that equivalent digital wallets have the ability to calculate a correct spendable balance. This involves the transfer of funds between two different digital wallets. A confirmation is required once the transaction is submitted to the public ledge. Once a transaction is completed, the wallet makes use of an encrypted electronic signature to provide a proof that a transaction is coming from the wallet’s owner. Cryptocurrency without you hearing the term “mining” is like going to a party without your shoes. Mining involves the confirmation of the transaction and tallying it to a public ledger. For a transaction to be added to a ledger, the “miner” must solve a complex computational problem. Mining is an open source, which makes it open for anyone to confirm the transactions. Experts believe that cryptocurrency is the most secure way of transacting while providing a form of anonymity. The transactions cannot be reversed or faked. There is also the advantage of low fees and reliability when compared to conventional currency. You may refer to cryptocurrency as a decentralized currency meaning that it is available to everyone without bank having control over it. Fraud: Since individual cryptocurrency is digital, the issues of counterfeiting is not possible, unlike the credit card. Lower Fees: Cryptocurrency exchanges don’t require any transaction fees because miners are compensated. Though cryptocurrency or Bitcoin transaction fee exists, however, third parties such as CoinSbase may provide services such as creating and maintaining of Bitcoin wallets. Identity Theft: Giving your credit card to merchants makes you vulnerable. Not only do you disclose vital information, you give them full access to your credit line irrespective of the amount in question. Cryptocurrency, on the other hand, uses a form of push mechanism, which enables the holder of such cryptocurrency to send the exact amount to the recipient or merchant without disclosing further information. Decentralization: What this means is that network operates using a peer-to-peer basis. The network will be not be controlled by any central authority or government. Access to Everyone: As far as you have access to a mobile phone or internet, cryptocurrency is within your reach. The prospect of cryptocurrencies is in enabling the users to have ultimate control over their money with lower transaction fees and secured global transactions when compared to other currencies currently existing. When it is comprehended, it would spark emerging systems, which will be fundamental to changing our current global economic system.